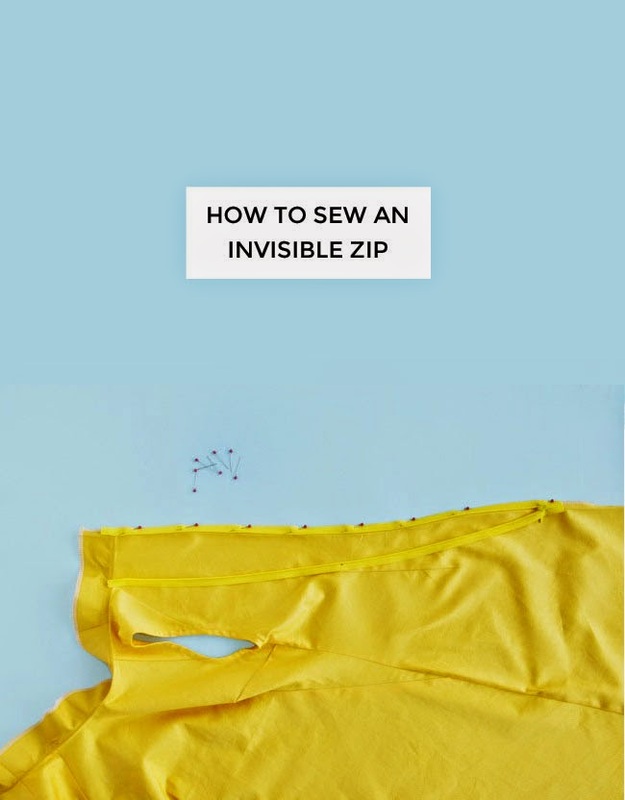 An invisible zip is my favourite kind of fastening to sew into my clothing. The teeth are hidden on the wrong side of the zip, so all you see from the outside of the garment is a subtle seam line. Gorgeous! 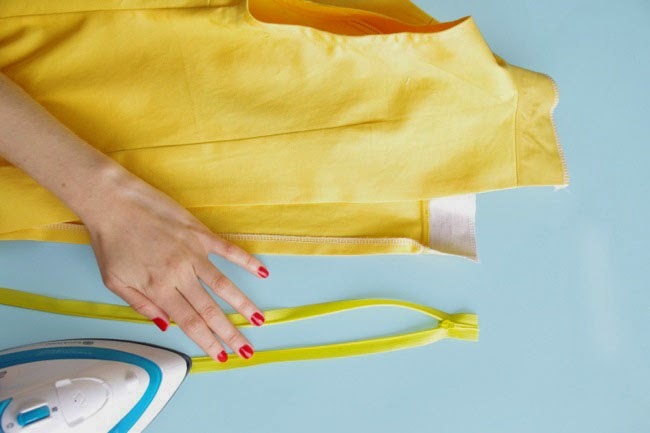 I’m going to show you how to insert an invisible zip into the Francoise dress, and you can also use this tutorial for other types of garment too. Try your dress on and adjust the back opening seams if you need to. If you want your seams to be hidden behind the zip, trim them down to the same width as the zip tape – about 1cm (3/8in). If your fabric is fairly lightweight, applying a strip of interfacing to each seam allowance can help stop the seams from puckering when you insert the zip. Finish the back opening seam allowances using zigzag stitch or an overlocker. Press them under 15mm (5/8in), wrong sides together. Open the invisible zip and press the back of the curled teeth flat with a warm, dry iron, being careful not to touch the iron to the zip teeth themselves (so they don’t melt!). Uncurling and pressing the zip will help when it comes to stitching close to (but not over) the teeth. With the dress lying right side up, temporarily fold the left seam allowance flat. Pin the left zip tape to the left seam allowance of the dress, right sides together. 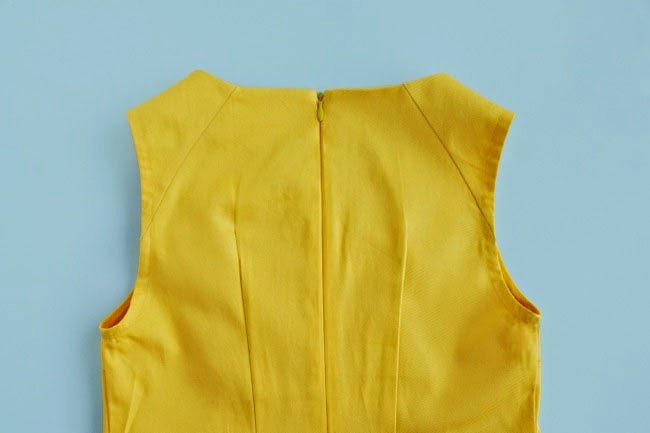 Align the zip teeth with the pressed seam line and the top stop with the neckline, folding the facing (and collar if your dress has one) out of the way. 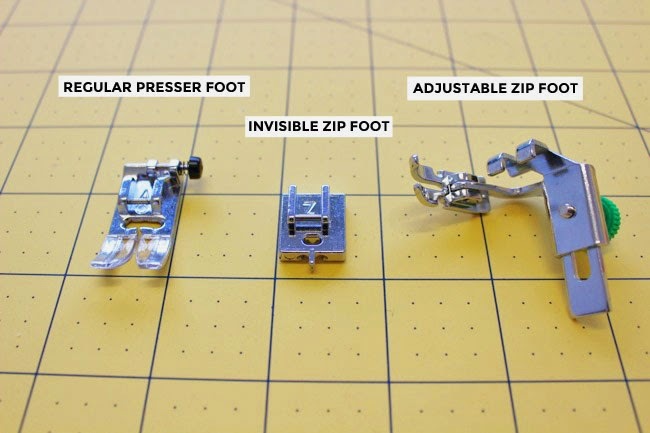 Attach an invisible zip foot to your sewing machine. The invisible zip foot has two little grooves at the bottom – slot the zip teeth into the left groove. Stitch all the way down one tape, as far as you can go before the zip pull gets in the way, back tacking at each end of the stitching. Trim your threads carefully so they don’t get jammed in the zip. 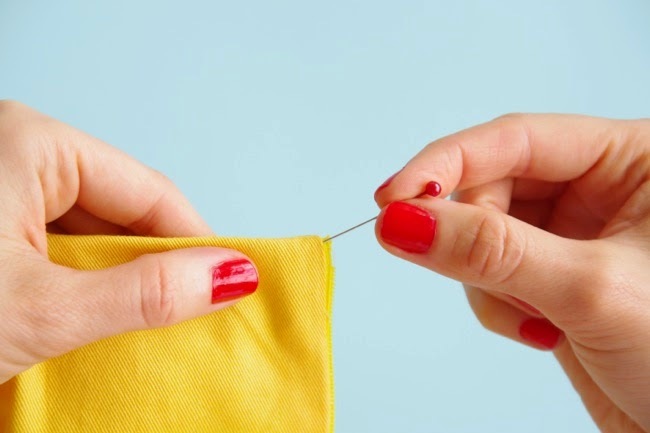 Pin the right zip tape to the right seam allowance of the dress in the same way. Stitch. Now we need to sew the rest of the back opening seam. Close the zip. Keeping the ends of the zip tapes out of the way, pin together the back opening seams below the zip. 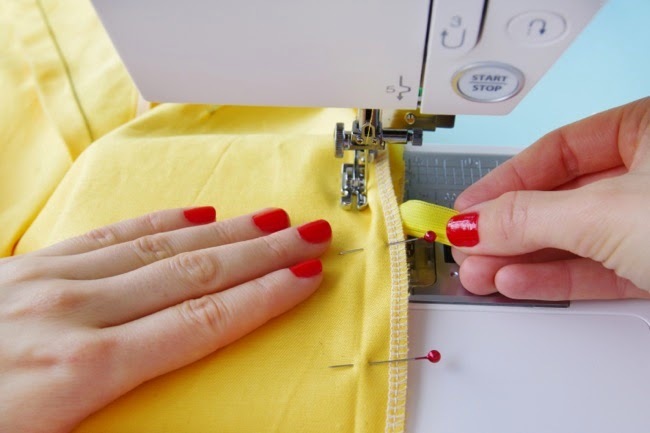 Change the foot on your sewing machine to a regular zip foot or an adjustable zip foot. Stitch the seam, starting about 2cm (3/4in) above the bottom of the zip, and back tacking at each end. 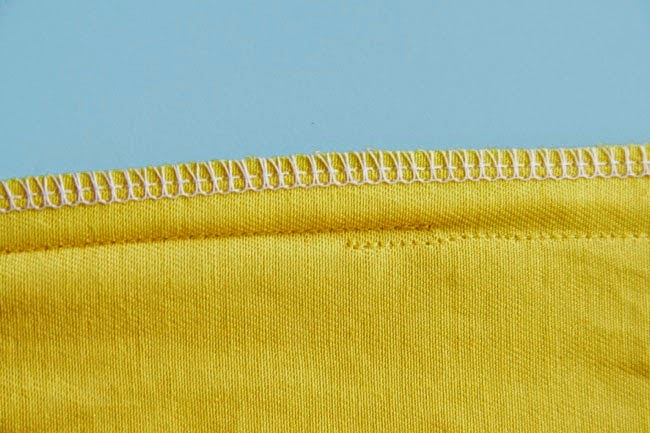 You won’t be able to stitch directly on top of the original zip stitching line because the teeth will be in the way, but get as close as you can to avoid creating a bubble at the bottom of the zip, and sew diagonally up to the seam line as smoothly as you can. An adjustable zip foot really helps here as you can slide the edge of the foot super close to the needle. I love my adjustable zip foot! I also like to stitch the flappy bottom ends of the zip tapes to the seam allowances (not through the outside of the dress), using an adjustable (or regular) zip foot. Press the seam allowances open. Open the zip and fold the zip tapes and back opening seam allowances away from the dress. Trim the top of the zip tapes, then fold the facings over the back of the dress along the neckline seam, right sides together. Pin the back edges of the facing to the zip tapes and seam allowances. (If your dress has a collar, this should be out of the way.) 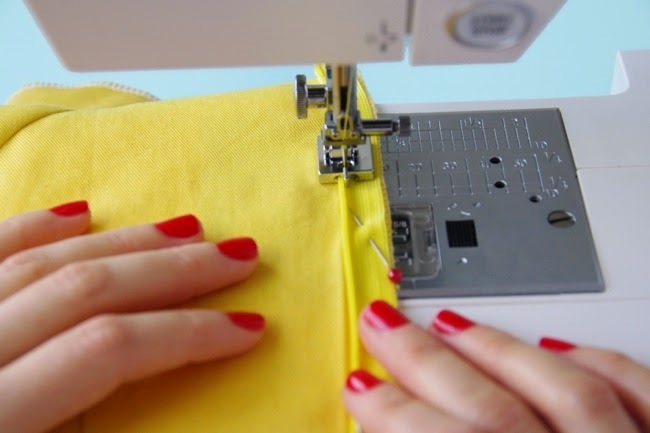 Using a regular or adjustable zip foot, stitch the back ends of the facing down close to the zip teeth (again, an adjustable zip foot will help you stitch closer to the zip teeth). Turn the facing right side out, using a pin to gently ease the corners into a point. 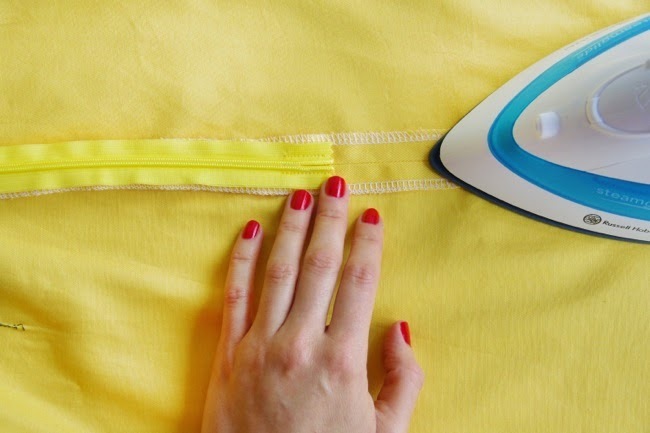 Press the facing to the inside of the dress, rolling the seam line slightly to the inside. 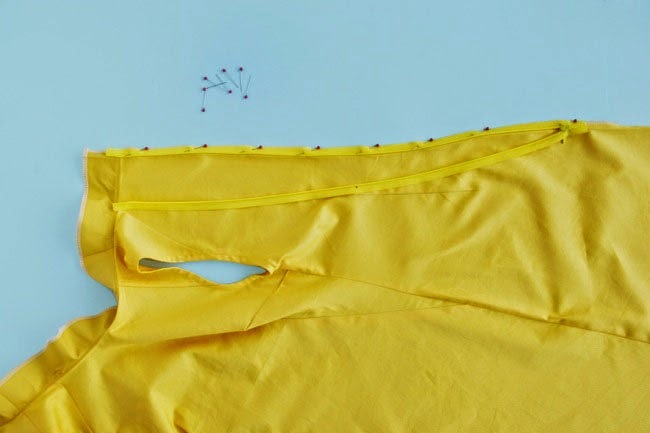 To finish, close the zip and lightly press the zip seam on the right side of the dress. 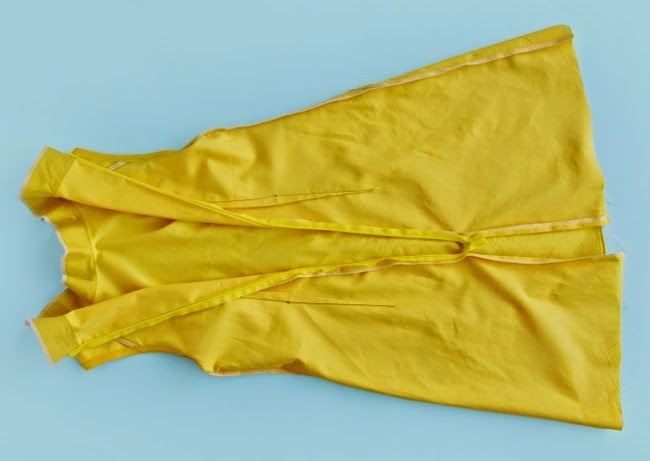 Be careful here as you don’t want to melt the zip – you don’t even need to touch the iron to the fabric, you can just hover it over the seam and emit a little steam to neaten the seam. And that’s it! You’ve sewn a lovely invisible zip. If you’re sewing the Francoise dress, all we’ve got left to do is hem the dress and sew the optional tab if you’re adding it. Nearly there!